Tupac Shakur came to fame in large part due to his battles with police, inspiring lyrics in his first solo release so violent that Dan Quayle publicly denounced them — building Shakur’s “Thug” image in the process. In the same time frame, he was arrested five times for violent crimes, leading to numerous criminal charges and civil lawsuits, culminating in a confrontation during which he was shot multiple times. The very next day, Tupac was sentenced to prison for molestation. Lawsuits and conflicts continued to plague him throughout his career, until he was shot and killed in 1996. Yet his rap music career flourished, in large part through the help of record label Death Row. 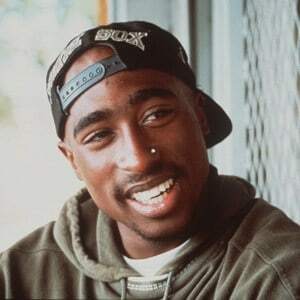 As a result, despite the many legal troubles, Tupac’s estate was valued at $40 to $50 million and his albums sold more than 75 million copies worldwide. So, predictably, his estate spawned countless lawsuits, including a feud over royalties with Death Row — which claimed his estate owed millions back to it despite more than $70 million worth of album sales — dozens of creditors, and even an estate battle between his mother and his absentee father. Shaker’s father last saw him as a child when he was only five years old and re-entered his life, after Tupac became famous, a few years before his death. Despite not knowing Tupac for most of his life, the elder Shakur sued for half of the estate. Tupac never created a will and he died intestate. This means that his parents, under California law, would equally split his assets. But Tupac’s mother initially claimed that the father had died. When DNA testing proved that to be untrue, the case went to trial about whether the father had done enough to support and spend time with his son. The evidence at trial showed that the only documented support the father provided was $820, a bag of peanuts, and a ticket to “Rollerball.” Under California law, a father who was not married to the mother can only inherit as an intestate heir if he had a substantial relationship with the child and provided monetary support. With little more than DNA to support his claim, Tupac’s father lost the trial. The judge, not surprisingly, felt that the relationship and support were not substantial enough to treat the father as an heir. The lawyer for Tupac’s mother applauded the ruling as a victory against “dead-beat dads.” The father’s attorney vowed to appeal. Reportedly, before the appeal, a settlement was reached to buy the father’s interest out for about $900,000. But the deal was struck only when Shakur’s father agreed to forgo all rights to use Tupac’s name or likeness. Those rights were not governed by the same California state law that was designed to stop a “dead-beat dad” from inheriting assets through an estate with no will. The release of image rights was an important part of the deal. In fact, the surprise — and ground-breaking — appearance by a 3-D Tupac Shakur hologram to perform on stage at Coachella in 2012 might never have happened if Tupac’s father could have withheld consent. Because Tupac’s mother was in favor of the hologram (in exchange for a donation to Tupac’s charitable foundation), Shakur became a trail-blazer as the first deceased performer to appear on stage as a hologram. While many of the battles involving Tupac Shakur’s estate could not have been prevented, the biggest one was easily avoidable. If Tupac had simply created a will — even a hand-written one — then his mother would not have had to battle his “deadbeat dad” for a share of the Estate. It’s a good lesson not to procrastinate with estate planning. Anyone with assets of significance — even 25-year-old rappers — should start with at least a basic will so that the loved ones they want can receive their assets.